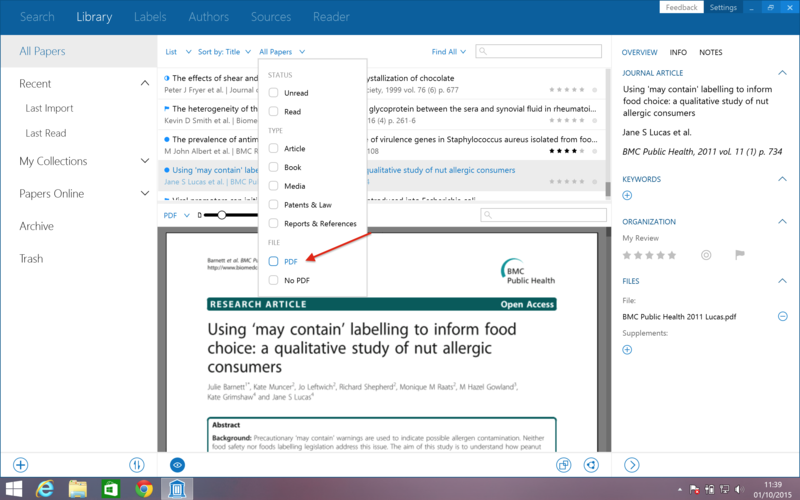 If you would like to view a certain file type in your Papers library, you can do this by selecting 'All Papers' in the 'Library' view. You will then be presented with a list of file types. For example, if you would only like to view PDFs, select the box beside 'PDF'. Remember to click on the box again if you would like to view all your files again.